Back in 2013 there was a widely known incident involving media mogul and talk show goddess, Oprah Winfrey. An attendant at a store in Zurich refused to show her a handbag that retailed for $38,000. 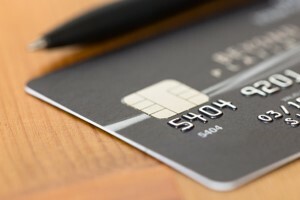 Read further for more on Black Credit Cards in South Africa. Either she genuinely didn’t know the prospective customer she was talking to was one of the world’s highest-earning celebrities, or she was just plain racist. But what offended the talk show legend the most was the fact that the lady didn’t realise that she was a holder of the fabled “black card”. The black card being here is the exclusive American Express Black Centurion card, a black credit card for the super-rich. It owes its nickname to its all-black appearance. What is a “black card”? Even if you consider yourself loaded, you cannot just walk up to American Express and demand the card. The black credit card was introduced back in 1999. It is issued on invitation only. And holders have to measure up to exacting standards. Also one of the alleged criteria for being invited into the black card club is being willing, and able, to spend up to $250,000 every year. That’s not all; you have to stump up an initiation fee of $7,500 and have a super credit rating. You will also have to foot a yearly fee of $2,500 to maintain your account. For all this, what you get is not a credit card per se. It is more of a charge card as you must pay the card off at the end of every month. There is no interest as you may not get any debt. The required conditions may seem harsh, but the target clients for this card should be able to meet them without breaking a sweat. A black card holder will enjoy a host of travel benefits including being able to access airport lounges virtually anywhere. You will also be in line for airline upgrades and stays in some of the world’s best 5-star hotels. Also, 24-hour concierge and VIP tickets to big events are other perks you can look forward to. There are a few banks that offer something akin to American Express’s Centurion Black credit cards here in South Africa. According to Heidie Ziervogel, product head at Nedbank, the bank has two options that are similar to the black card. One is the Nedbank Private Wealth MasterCard World Credit and Debit card. So the other is the Nedbank PrivateWealth Amex Platinum Card. Holders of these cards will have to cough up R259 every month, but for that, they get an array of perks. They get concierge services, travel benefits, and travel insurance among other goodies. This bank offers its super-wealthy clientele a Private Clients Card and a Platinum Credit Card. These aim at people who earn at least R350,000 yearly. These cards also come with access to the exclusive SLOW lounges. Other South African banks that have similar offerings are Standard Bank, RMB, and Bidvest.